Very versitile tree with leaves turning yellow in fall. Small yellow flowers attract bees. 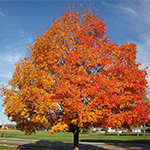 Beautiful tree known for lustrous green leaves in summer and consistent colorful red fall foliage. Indiscript flowers are an excellent nectar source for bees. 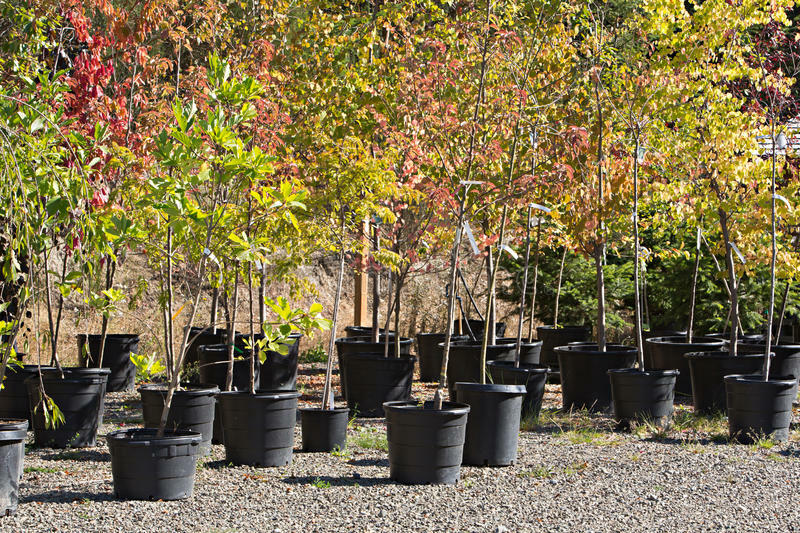 Very large growing tree that can reach heights up to 100-ft. High drought tolerance. 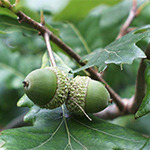 Produces large acorns. High salt tolerance. Dark green leaves turn yellow/red in the fall. 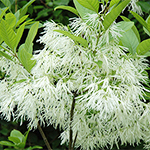 White tassle-like flowers develop into small red fruits that then turn black in the fall. 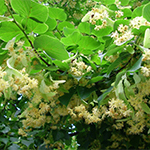 Has lovely flower fragrance from fringe-like, fleecy flowers that hand in panicles from the branches. 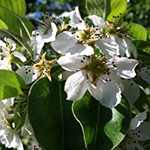 Very adaptable small flowering tree; tolerant of air pollutiona and adapts well in an urban setting. 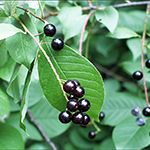 Deep red flower in April/May, large leaves turning yellow in fall and fruits that resemble a banana. Large shade tree with yellow fall color, nuts great for wildlife. High drought tolerance. 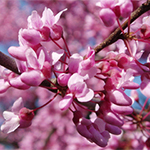 Clusters of bright pink blooms in spring and yellow fall color. Great understory tree. 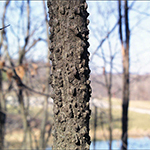 Features traditional bark of birch trees, with reddish brown bark pealing back revealing lighter. 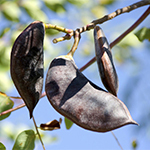 Leathery, diamond-shaped, medium to dark green leaves turn yellow in fall. 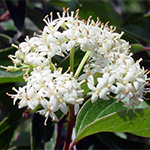 Bright red fall color and great clusters of white flowers in late spring. Great shade tree with tremendous fall color. Produces small "helicopter" seeds. Tolerant of many conditions; will tolerate light shade. Can take full sun but may scorch in extremely dry locations under drought conditions. 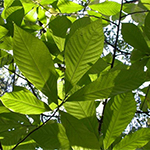 approved Native Tree guide by clicking here. High drought tolerance. Yellow fall color with distinctive corky ridges on bark. White showy flowers give way to red fruits. Tree does have thorns. White star shaped flowers in early spring, yellow to red fall color. 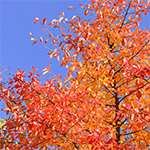 Leaves turn a yellowish color in fall and often drop early. 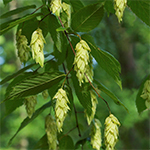 Its fruits resemble hops used in the production of beer, hence its name. Short trunk shade tree with open canopy and long cilindrical seed pods. 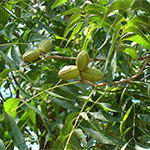 Male trees will not produce seeds. Very tough tree. 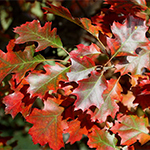 Shiny, dark green leaves often turns a brownish red in late fall. 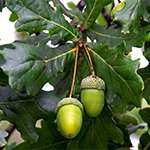 Acorns are usually not produced until the tree reaches 25 years. 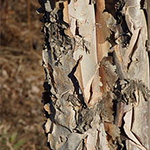 Interesting bark with dark green leaves. 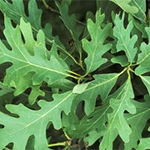 Faster growing for the oak family and good source of food for wildlife. High drought tolerance. Glossy green leaves turning yellow in the fall. 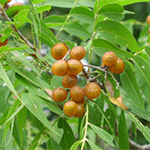 Produces yellow grape-like fruit. 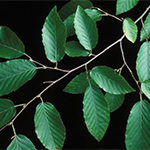 Rounded lobed leaves and scaly bark. Very long life!